I still have 35 as the "magic" inflection price here as you pointed out. Wouldn't be comfortable re-shorting if it pushes up thru it. I think today's last hour of trading will be interesting and telling as to who's really still in control for the short term ... buyers or sellers. We're still in a week+ trading range, and have reacted off the low end of that price area so far. Here's the ES daily chart of the range and the purple line as support so far. 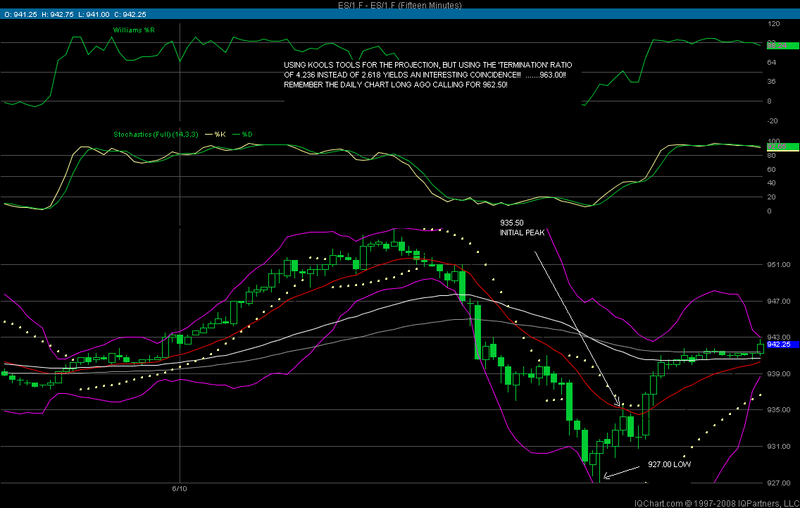 Long SPY Jun 95 Calls with ES at 934.
and thanks for the charts Guys!!! Ain't we all "grasshoppers" in a continuing evolution of trading with market evolution/changes over time?!? I try to be an eternal student (easier said than done). Watched "Kung Fu" also as a young 'un ... and an RIP to Mr. Caradine! 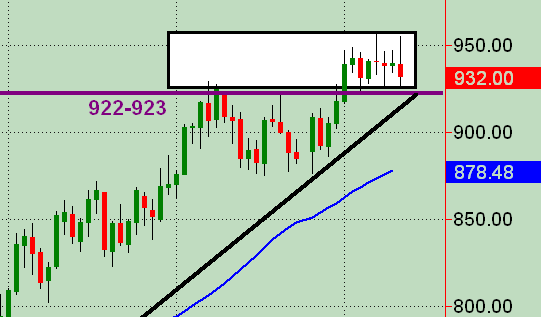 i think someone also pointed out the inverted head and shoulders on the hourly charts! AN INTERESTING COINCIDENCE! Just food for thought!